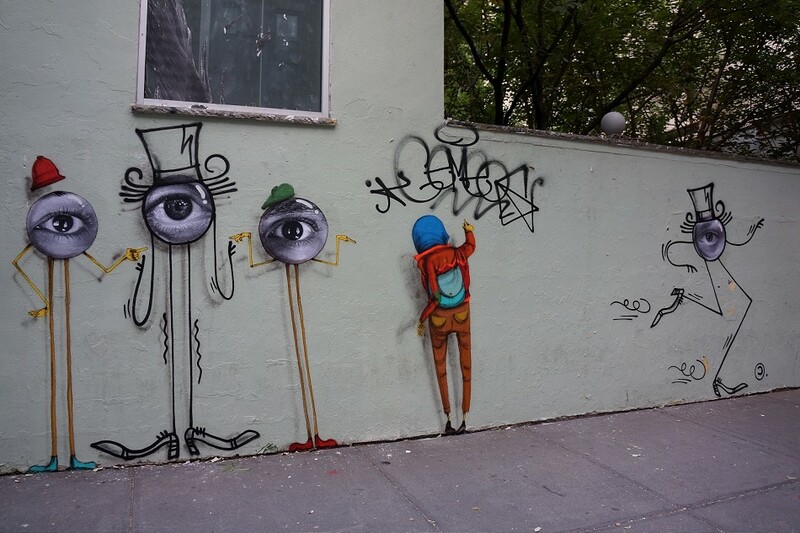 The Parallel Connection project is well under way in New York City and in light of this, Brazilian twins Os Gemeos were in town and teamed up with French part-time locals, JR and Andre Saraiva, to create some brilliant street side character pieces. The collective incorporated all of their signature sides while blending them within one another to create a vibe of life size monsters living among those who walk around Soho. 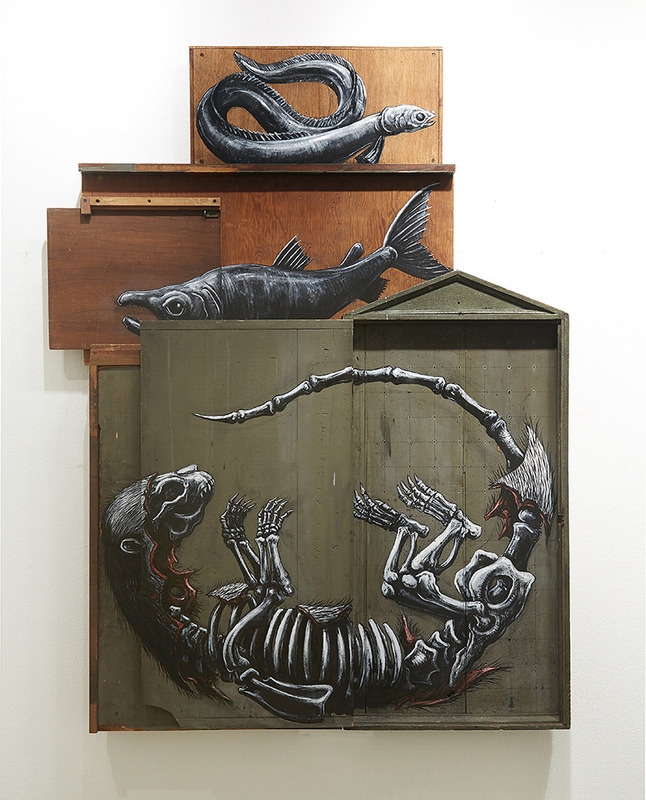 Belgian multidisciplinary artist ROA currently has a show on display at the infamous Jonathan LeVine Gallery in New York City entitled “Metazoa.” The show which showcases ROA’s signature series of animal portraits that we’ve seen time and time again in large scale on the street. Judging by the photos they appear to be just as impressive indoors. 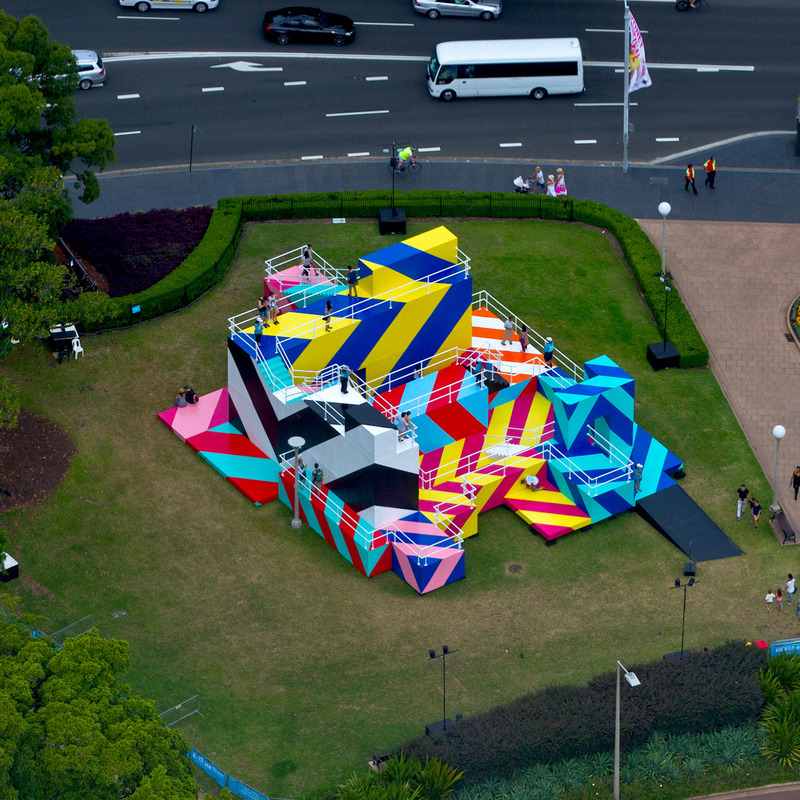 One of the most productive street artists out there right now is Maser. This Ireland born powerhouse has been travelling all across the globe painting vibrant geometrical pieces of art on basically anything he can get his hands on. Here’s a selection of works from the master himself.